What’s the Hype About Protein? 1 What’s the Hype About Protein? In short, protein helps build muscles. 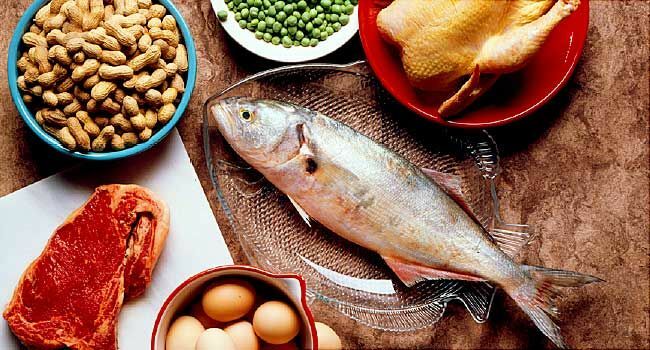 Muscle fibers are made of protein, so incorporating more protein into the diet is essential. Typically, the amount of protein needed ranges from 0.8 – 1.2 grams per kilogram of bodyweight. Obviously, men need more and women need less. However, the amount needed is also based on an individual’s goals. If you’re looking to significantly increase muscle mass, then you should ingest more protein than someone looking to maintain their muscle mass. However, protein is also one of those macronutrients that should stay relatively consistent. If your protein intake drops too low, the body does not have enough amino acids to efficiently maintain your current muscle mass. If this happens, no matter how efficiently you are training, your muscle size will decrease. So no matter what, make sure you’re getting in an adequate amount of protein. Dietary Restrictions. If you’re allergic to fish, for example, you’re not getting your protein from tilapia. Taste Preference. If you don’t like tilapia, then don’t eat tilapia. No one is forcing you to eat something you dislike for the sake of muscular growth! Monetary Restrictions. Some people can afford nicer whole protein sources than others, and that’s just the cold hard truth. If you can only afford chicken breast and tilapia and maybe some steak when it’s on sale, then do that. No one protein source is better than the other in vitro. Seasonal Restrictions. Maybe you’re a seasonal shopper, and your favorite fishes aren’t currently in season. It’s okay, there’s always alternates! Locational Restrictions. Some areas have some food that others don’t, and that’s just how things are. If you love a food but it’s not in your area, then don’t sweat about it. Get it when you can, don’t get it when you can’t. Besides, it’ll be a lot more special when you finally get it again, anyway! There are several different types of protein, but I’m going to touch upon the ones that are most common. Namely, these protein sources are: chicken, some fish, pork, steak, and dairy products. Although, don’t be fooled. These options are not the only way to get your daily protein intake. In fact, if you’re vegetarian you can’t have a majority of these things, and if you’re vegan you can’t have any. These are simply the protein sources that get you the best bang for your buck. However, whole grains, nuts, legumes, beans, and meat substitutes also contain a decent amount of protein per serving. They simply do not contain as much as meat sources. For the best bet, eat some meat for protein. If not, protein powder and bread is a great alternative to get in your daily required allotment. Breast — The staple beyond staples. 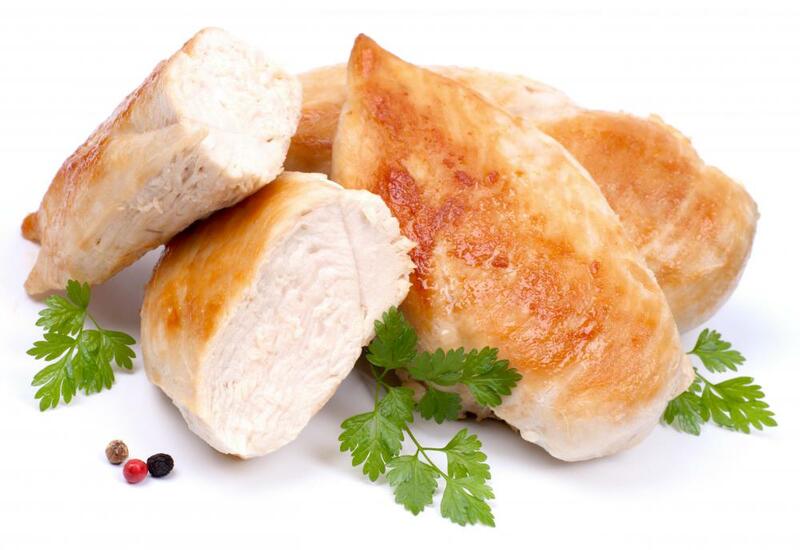 Per ounce, chicken breast contains 40 calories, 0.3g of fat, and 8.5g of protein. Thigh — Chicken thigh is a much fattier piece of meat than chicken breast. Per ounce, chicken thigh contains 60 calories, 3.1g of fat, and 7.5g of protein. Wing — The king of all kings at bars and SuperBowl parties, but not necessarily for muscle gain. Per ounce, chicken wings contains 63 calories, 4.5g of fat, and 5.2g of protein. Obviously, you get the most protein with chicken breast. However, if your diet allows you to have more fat per day, then sure, have a thigh or wing. You just need more for the same amount of protein as a breast. Pork Chops — The classic cut of pork is the pork chop. 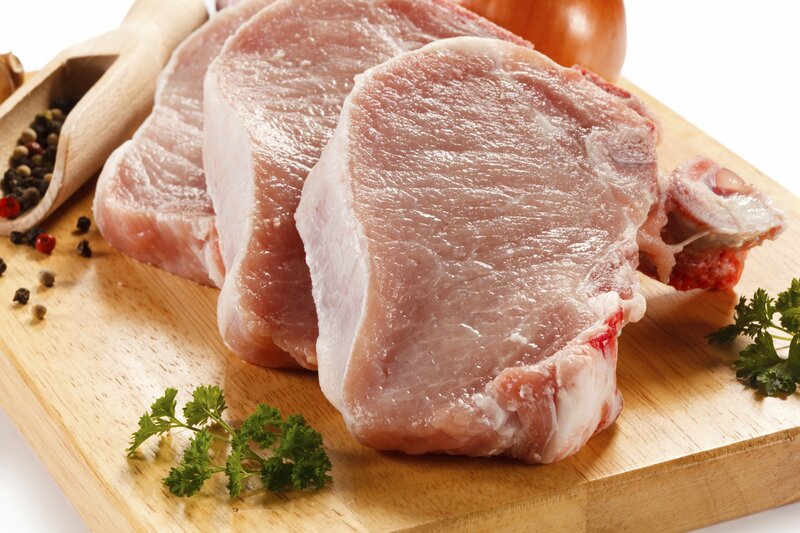 Per ounce, a pork chop contains 53 calories, 3g of fat, and 6g of protein. Pork Tenderloin — A good thing to remember is that any cut of meat with “loin” in the name indicates a leaner cut of meat. Per ounce, pork tenderloin contains 40 calories, 1.5g of fat, and 5.8g of protein. Pork Ribs — The closer you get to the bone, the fattier the meat. This holds true for pork chops and pork ribs. If you want something leaner, try center cut. However, one ounce of pork ribs contains 45 calories, 3.3g of fat, and 3.2g of protein. Again, the closer you get to bone the fattier the meat. Therefore, if you are looking for lean cuts of pork, try center cut pork chops or tenderloin. If you’re tailgating, then try the ribs. of the more popular beef choices. Per ounce, steak contains 55 calories, 3.3g of fat, and 6g of protein. Chuck (80/20) — Ground chuck (80/20) is probably the most popular choice when making hamburgers. The fat to meat ratio is pretty spot on for burgers, but not so much for meeting your lean protein quota. Per ounce, ground chuck contains 70 calories, 4g of fat, and 7g of protein. Lean Ground Beef (96/4) — Lean ground beef is probably the best choice when trying for lean beef sources. It makes slightly subpar burgers as compared to the 80/20 cut, but it’s much better for your waistline. Per ounce, 96/4 ground beef contains 35 calories, 1g of fat, and 6g of protein. 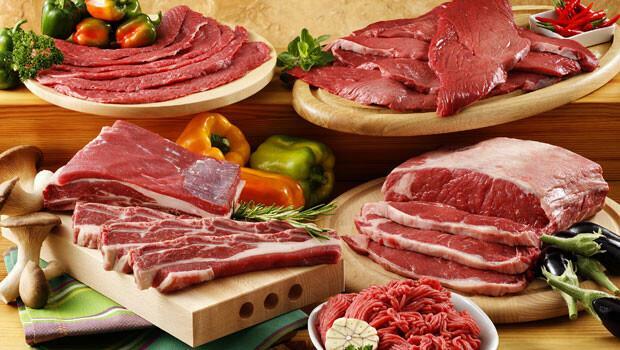 Beef is one of those cuts of meat that can be great or deadly to your fat intake, depending on which you purchase. Always look for “lean” in the label and trim the excess fat to make sure you’re getting as much protein with as little fat as possible! Tilapia — Tilapia is relatively cost effective and lean, and can be purchases fresh or frozen. Per ounce, tilapia contains 27 calories, 0.5g of fat, and 5.7g of protein. Salmon — Another relatively popular fish choice is salmon. Even though it’s a little fattier, salmon contains Omega 3 and Omega 6 fats, both of which are essential to the diet! Per ounce, salmon contains 50 calories, 2.1g of fat, and 6.8g of protein. Tuna — Whether in steak or sushi form, tuna is delicious and good for you, too! Per ounce, tuna contains 35 calories, 0.9g of fat, and 6.3g of protein. Shrimp — Shrimp is lean and you get so much per serving. Generally speaking, you get up to six little shrimp per ounce. Also per ounce, shrimp contains 40 calories, 0.7g of fat, and 7.7g of protein. Cod — Cod is a less popular white fish than tilapia, but is still beneficial to your diet. Per ounce, cod contains 30 calories, 0.9g of fat, and 4.8g of protein. When choosing proteins, you need to pick your battles. Some choices are better than others in terms of protein content, some contain more fat, and some you may not like. Really, the choice is yours. However, leaner cuts of meat generally contain more protein per ounce than fattier protein sources. So if more protein is your thing, opt for chicken breast, white fish, or pork tenderloins. You’ll get the most bang for your protein buck! Are Bodybuilding Supplements Popular In Venezuela?